There is a wide range of fish to choose from fresh and salt water varieties; and then variations on those, it’s a virtual flow chart of delicious fishes and their relations. But today we’ll speak about tuna, a fresh and light fish; high in nutrients and full of those good fats that keep our hearts and brains healthy. Like with other types of meat marinades keep fish and seafood from drying out and the oil helps keep them from sticking to the grill. It also makes it taste good. Not that it didn’t already, but, you know what we mean. As a general idea, when it comes to fish there are two types: firm and flaky. Firm (think big fish like halibut, tuna, marlin, or sturgeon) can take a stronger marinade for longer. Flaky (salmon, trout and cod) you know, the kind that fall apart on the grill, can’t take a strong marinade and shouldn’t be marinated for long. 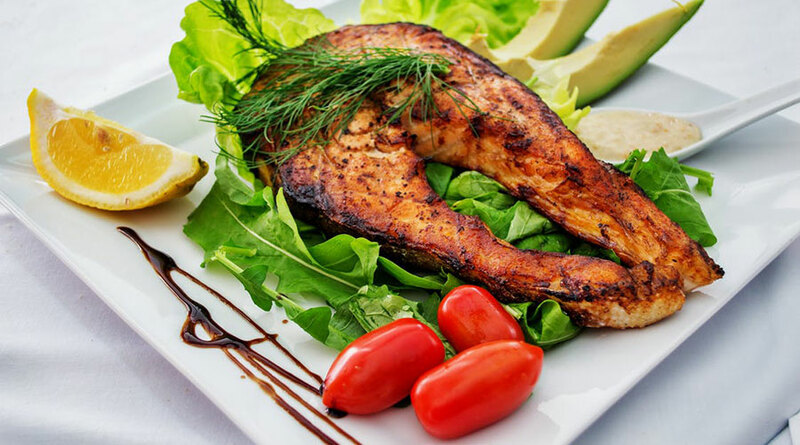 An acidic marinade, containing lots of vinegar or citrus juice actually cooks the fish or seafood so you need to use mild marinades for short periods of time. Very important: keep the acid and the times low. Marinade each side of the loin for 1 minute in a Vacuvita container. Take care not to completely submerge the steak or it will lose it’s vibrant colour. Season a medium to hot skillet or grill pan with olive oil. Sear your tuna for 1 minute on each side, until a nice crust forms. If you prefer your fish to be a little more cooked through, you can finish it off in a warmed oven. There are plenty of fish in the sea and when cooking with Vacuvita you can expect restaurant results every time. See what you can come up with and show us the result on Instagram.